Introduction: Handball has been around for close to a century and is regulated by the International Handball Federation (IHF). The game is also referred to as Olympic handball or team handball since it is a team sport that is played by 6 outfield players and one goalkeeper. 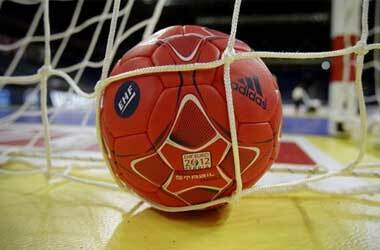 Handball games generally run for 60 minutes, broken into two halves of 30 minutes each. The game is generally played indoors on a court that is 40 by 20 meters and is played at a professional and amateur level as well. This is a high paced sport where body contact is allowed when the team defenders are trying to stop the attack from the opposing team. Handball was initially introduced at the Summer Olympics in 1936 but was removed thereafter. The sport was dominated by male players until the IHF established a women’s division which helped the sport grow. Men’s Handball was once again included to be a part of the Olympics in 1972 Olympics and Women’s Handball was added to the 1976 Olympics. While most handball tournaments take place indoors, there are some variants such as beach handball, field handball and Czech handball. Canada Betting: Handball is not on the list of the top 5 sports in Canada but there is a small section of Canadians who like playing handball and following the sport. Some of these handball fans from Canada often place wagers on international handball tournaments at reputed websites such as 888 Sports, William Hill, Betfair, Bet365 and Paddy Power. These sports betting websites give bettors the opportunity to be online or on the go as they also offer a mobile sports betting app that is compatible with both Android and iOS platforms. The Handball World Championship is considered to be one of the biggest international handball competitions and Canadians love to wager on this event placing bets on the different teams that participate. Some of the other popular handball competitions include World Games, Super Globe, IHF Trophy, IHF Emerging Nations Men’s Championship and Beach Handball. Handball in Canada: Handball in Canada is governed by the Canadian Team Handball Federation (CTHF) which was established back in 1962. The CTHF organizes two national handball tournaments each year which take place in the month of May. One tournament is for juniors – under the age of 21 and one for seniors who are over the age of 22. The winner of this tournament is officially recognized as the National Handball Champions for the calendar year. There are currently 8 members in the CTHF who represent Alberta, British Columbia, , Manitoba, Saskatchewan, Quebec, Ontario, Newfoundland\Labrador and New Brunswick. Keep up to date with the latest handball news, rules, regulations and interviews so you are well informed before you place a bet. Make use of in-playing betting to hedge your bets. The sport of Handball really is an International sport, however it is one that may not have the huge number of followers as some sports, however there are a very loyal number of fans, usually friends and family members of those taking part in such sporting events, and as such there is always a lot of interest in a financial sense when a Handball event is taking place. Should you be interested in the many different types of wagers that can be placed on any up and coming Handball event, then have a good look through this Betting.ca Guide to Handball Betting, as much like all of our other many betting guides we will show you how, when and where you can bet on this sport and hopefully help guide you to some of the best sports betting sites online. If you do not already hold an online or mobile betting account, and you live in Canada then make sure you fill your boots with all of the free cash offers listed at the foot of this page, for by taking as many of the betting bonuses as you can, you are going to give your chances of winning when placing a Handball or indeed any type of sports bet a healthy boost! What’s the Best Handball Bet? What’s the Best Handball Strategy? How Do I Work Out Handicaps? What are the Main Handball Betting Events? If you are wondering just which are the most popular betting events in the world of Handball then allow us to present to you the fixtures that can always be relied on to get fans of this sport excited and placing their wagers in droves! The Men’s Champions League and also the Men’s European Championship can always be relied on to give you a most entertaining type of viewing pleasure and plenty of people love nothing more than betting on their favourite, however other popular Handball sporting events and fixtures include the French Div1, the German Bundesliga also the Spanish ASOBAL League. As you can tell Handball is certainly a worldwide sport and as such no matter where there is an event being held you will always find a myriad of betting opportunities on offer from all of our featured betting sites listed below. You can bet on each round of play or even who you think is going to win any one single match of Handball that is played, but not only are you limited to these two types of wagers you can also bet on things such as who is going to score first and also what the score of any one single match is going to be. 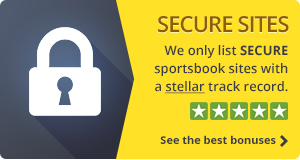 Have a close look through all of our featured betting sites of which we have many of them listed below for when you do checkout their websites and follow the links to the Handball betting markets you will be impressed and possibly overwhelmed by just how many betting opportunities there are on offer at all of them! You may now fancy putting your money down on any Spanish ASOBAL League match or in fact any worldwide Handball Championship game, and if so you are not going to go far wrong by checking out the following betting sites who all offer a range of free bets and bonuses to all new customers. Bet365 – When you want to place a bet, be sure to check out the 100% match bonus from bet365. All you have to do is become a member and deposit funds in your account to be awarded this free cash. As Bet365 are able to process Canadian funds, you’ll find that you can deposit and withdraw in CAD, so you’ll never lose out on transaction fees or conversions! Ladbrokes – Should you be in the market to find a new sports book, Ladbrokes are offering up to C$120 in free bets. Should you wish to take up this generous offer, simply head over to the website and join and deposit funds into your account. Paddy Power – Paddy Power do things very differently, and as such, you’ll be able to claim a 50C$ free bet if you decide to open an account with them. Simply deposit an amount in to your new account to be eligible for this generous bonus offer. Party Bets – When betting with Party Bets, you’ll find yourself 25C$ richer thanks to the free bet bonus they offer. Simply open an account with them, deposit funds, and place your bet, it couldn’t be any simpler! William Hill – William Hill has long been an established Betting Shop operator in England, and has been the nation’s bookie of choice ever since they launched decades ago. Due to the expansion in to Canada, they are offering a CAD25 free bet to celebrate. All you have to do is sign up, deposit funds into your account and accept this bonus. Perfect for when you fancy placing a bet on any sporting event, including the Handball. Betway – Betway have recently expanded into the Canadian market, and as such, they are offering a free C$50 worth of bets. Simply sign up, deposit funds and place your bets as you see fit. You can wager on all of Betway’s sporting events, including the Handball games. Good Luck! You will probably now be wishing to place all manner of Handball bets online, and if so then all of the above betting bonuses can be yours by simply signing up to any of the above betting sites. However, do be aware the bonuses may change at any time, and the best way to check whether they are still available is to take a look at the betting sites websites where all of the rules regarding their promotions offers can be found. The answer to this question depends mostly on how experienced you are in sport betting. 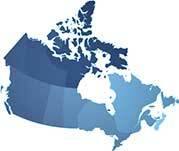 Match bets or 1×2 bets are the easiest to understand and thus are most suitable for beginners Canadian bettors. On the other hand, if you are a more seasoned bettor, you’ll find great value in future handball markets, which open before season start, as well as handicap bets. On the other hand, bets like total goals or other less reliable options are better avoided, regardless of your experience. With handball, it’s always about keeping fresh tabs on your teams if you want to make better picks. Thus, the best strategy would be to do as much research as you can before you start betting. That’s why popular events have better value, as they information on them is abundant. Other than keeping yourself updated on your team’s form, performance, and mentality, it’s always good to shop and compare to find the best odds, as well as hand pick which bets have the best value. Due to the dynamics of the sport, most betting sites offer less generous odds for handball since they exclude the draw, which is why handicaps are such a popular option for many Canadian bettors. Handball handicaps offer great value because you only have to worry about the points scored during the 60 minutes of play and don’t risk anything in the event of a tie. The best way to use handicaps is in-play when the handicap is out of line with the score, especially with games well under way. These things happen with well-known underdogs mostly, where bookmakers won’t rush to update their odds, despite any changes. Just like with any other dynamic sport, live handball bets can be quite profitable for those who keep their eyes open. The main thing with handball is that teams can shift tactics fast and unload clusters of goals within a quarter, thus changing the entire tide. However, it can also turn out to be a negative affair, especially if you chase the totals in this high-scoring game. The main event that most betting sites cover is the World Handball Championship, which is a biennial event organized by the IHF. You can find a variety of betting options on this event, but also plenty of analyses and statistics to help you prepare better for your bets. And apart from the WHC, you can also find the European Handball Championship, which is just as fast-paced and valuable a market as the WHC, as well as the Olympics. Other popular leagues include the EHF Men’s Championship League and the Spanish and German handball leagues.